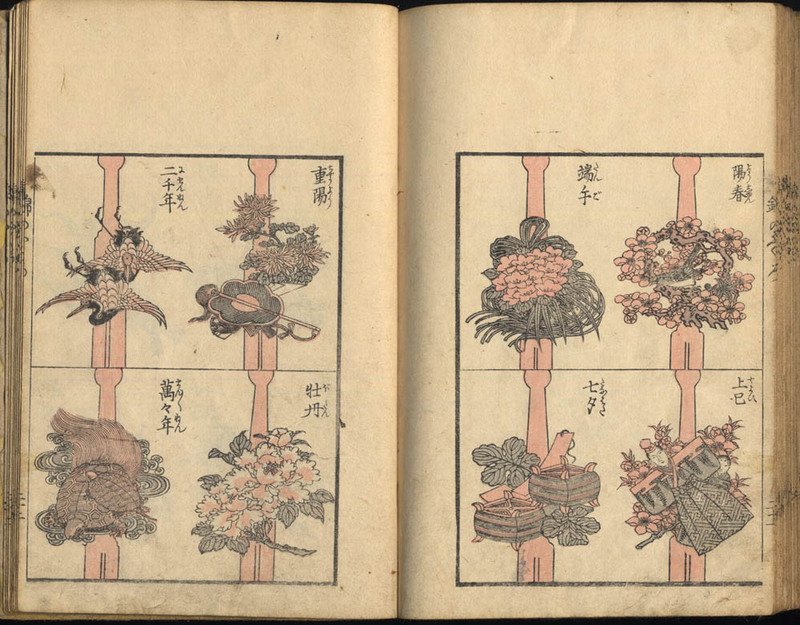 Title: Ehon nishiki no fukuro (Illustrated book of brocade bag). One volume, complete. 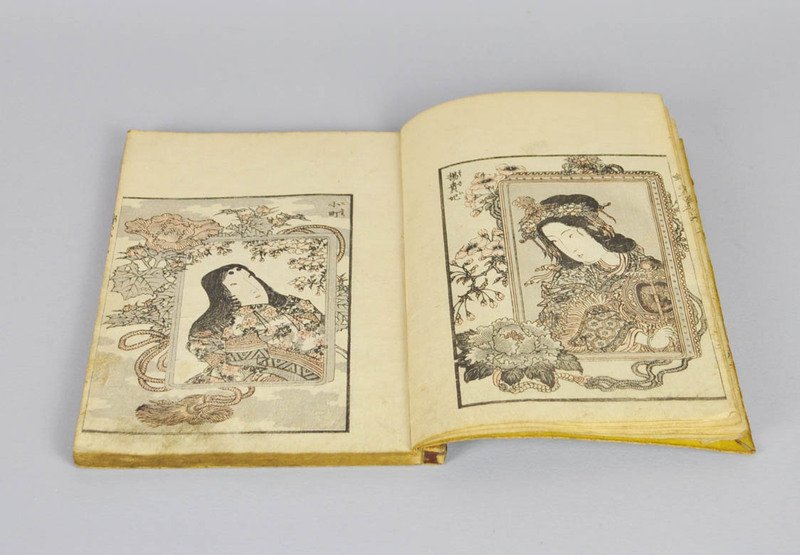 Description: Fifty-four pages illustrated with designs of different kinds intended as models for the use of lacquer and metal craftsmen. 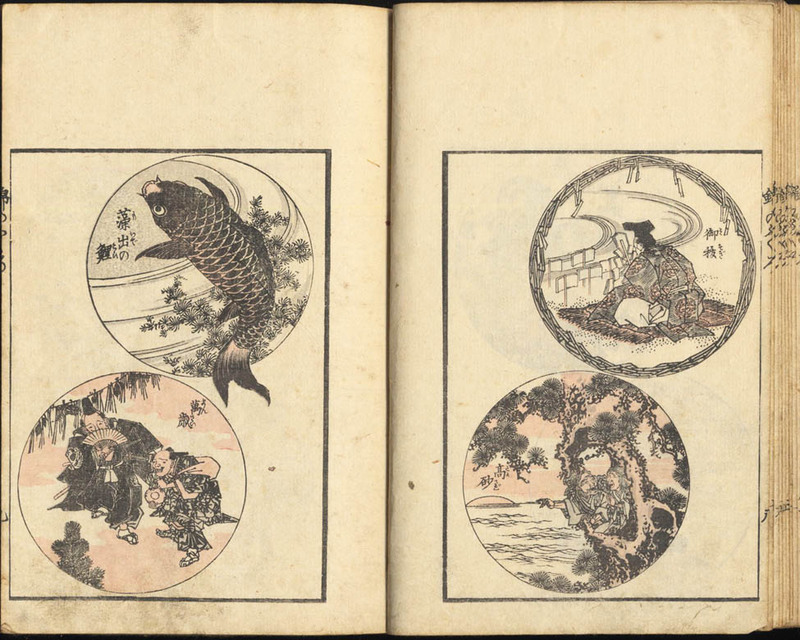 In addition to various illustrations applicable to the creation of netsuke, sakezuki, manju, kanamono, menuki and tsuba, the volume includes seven pages with designs for hair pins. 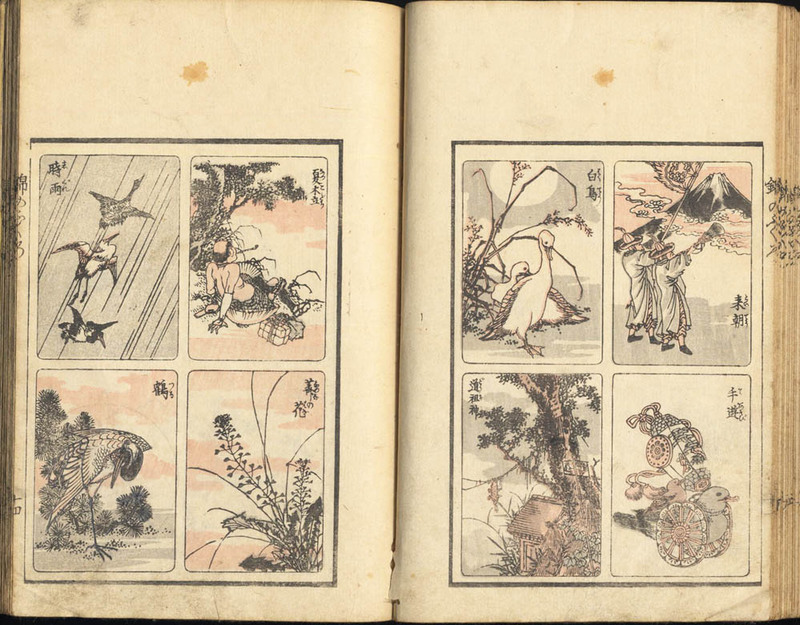 Medium: Black and white woodblock printing with gray and pink. Literature: Henri Kerlen. 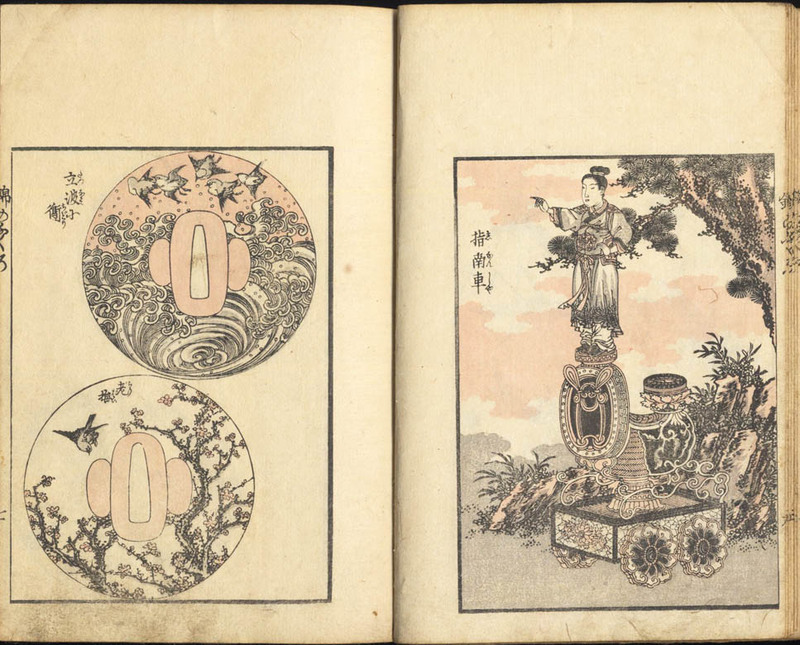 Catalogue of Pre-Meiji Japanese Books and Maps in Public Collections in the Netherlands. Amsterdam, 1996, n. 304. Kenji Toda. 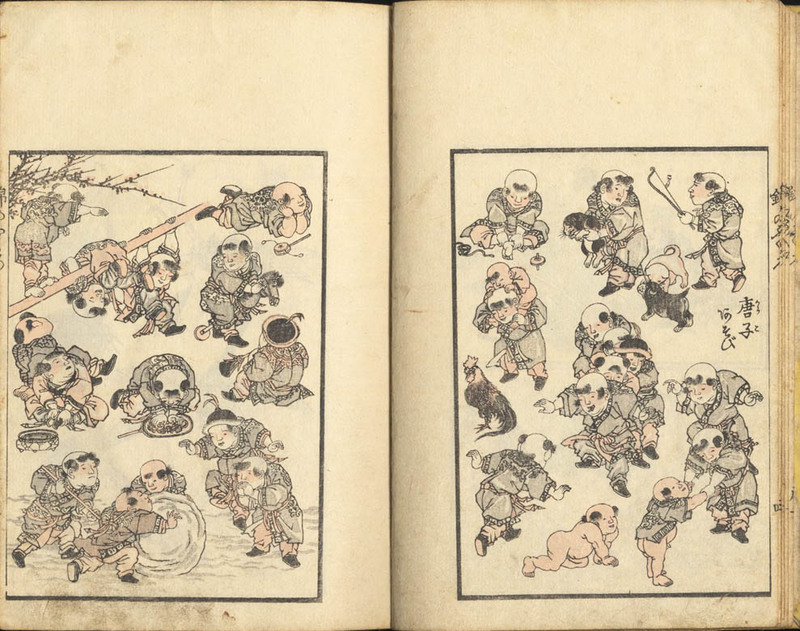 Descriptive catalogue of the Japanese and Chinese illustrated books in the Ryerson Library of the Art Institute of Chicago. Chicago 1931, p. 304. 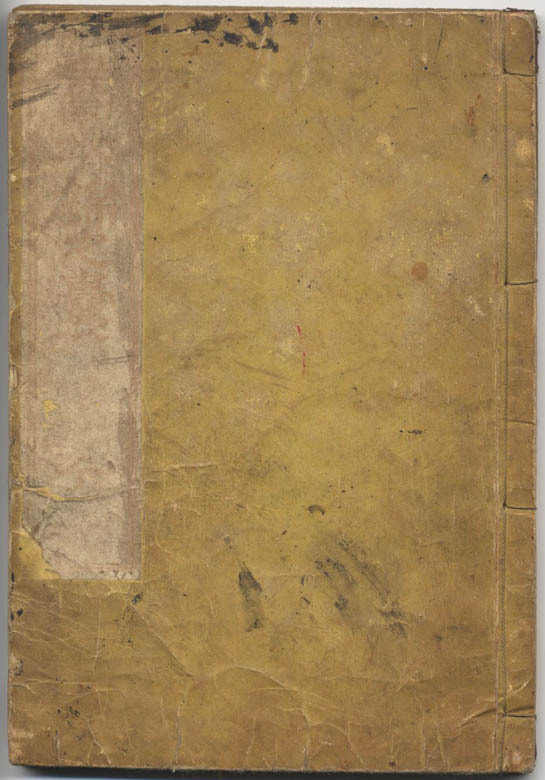 Conditions: The cover slightly stained, inside in general good conditions.